Nottinghamshire Assistive Technology Team, led by Sian Clark and Dr Nigel Marshall as Clinical Executive are leading on a potentially exciting development to further enhance patient’s confidence to self care via Flo. Being used more commonly in our daily lives, access to short validated video has the potential to compliment Flo’s unique psychology, methods and techniques to enhance the delivery of supported shared management digitally. Following initial discussions, and having previously shown an interest in this enhanced model of care, Lisa Taylor approached the Nottinghamshire team to discuss working working with ‘Health and Care Videos’, a trading arm of Torbay and South Devon NHS Foundation Trust who have over the last couple of years been building a library of short educational videos developed by clinicians and specialists who work in the health and care sectors to support patients to self care. To compliment Nottinghamshire’s existing innovative strategy, a local level project has been initiated to understand more around if and how integrating short, targeted videos within Flo’s interactions with patients can reaffirm education around self management, further supporting patient’s understanding and confidence. 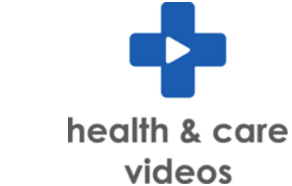 The pilot will cover 3 different areas: primary care, community care and acute services with hypertension and heart failure being identified as areas in which video could have the most impact. Plans for the pilot have been sent out to existing Flo service users in Nottinghamshire to ascertain their interest in participating, which resulted in 4 surgeries, 3 community teams and 2 hospital teams coming on board. Sian comments; "When a patient is diagnosed with blood pressure issues, it can take time to explain how to use machine and take blood pressure as well as monitor and evaluate blood pressure levels on a regular basis. The ability to use links to demo and support videos via Flo’s interactions with patients has the potential to allow the time that nurses and HCAs spend with participating patients to become more efficient, proving a huge benefit to practices and services."